Six String Crossing is a high energy group based out of the Midwest that performs today’s country hits, classic country favorites and our very own original music. 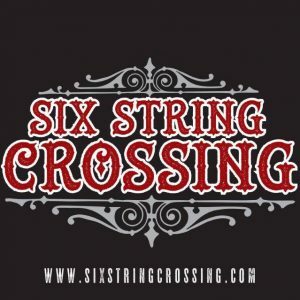 The band name Six String Crossing and our music is inspired by various Nashville/Red Dirt Country musicians/songwriters including…Casey Donahew Band, Sturgill Simpson, Blackberry Smoke,The Dirt Drifters, Dierks Bentley, Whitey Morgan, and many, many more. SSC is Proudly Sponsored By PABST BLUE RIBBON, 21 Jaded Spades Motor Clothes, YETI Coolers, Windy City’s Harley Davidson’s and Hairy Ant Marketing & Promotion. Music can be found on SixStringCrossing.com, Itunes, Amazon, Google, Spotify, Youtube, Reverbnation, Sound Cloud, 98.3 WCCQ Chicago, RDROK radio Oklahoma, and KDSS Nevada country radio.